Here at VMTP Midlands Ltd we carry a large and varied stock of automatic gearbox parts for use in our own workshop in order to try and reduce the amount of time your car is off the road. Keeping customers mobile is our top priority. In addition VMTP Midlands Ltd also supply automatic gearbox parts to both retail and trade customers. We specialise in the supply of inspected, excellent quality, second hand ‘hard parts’ for the UK and also export markets. 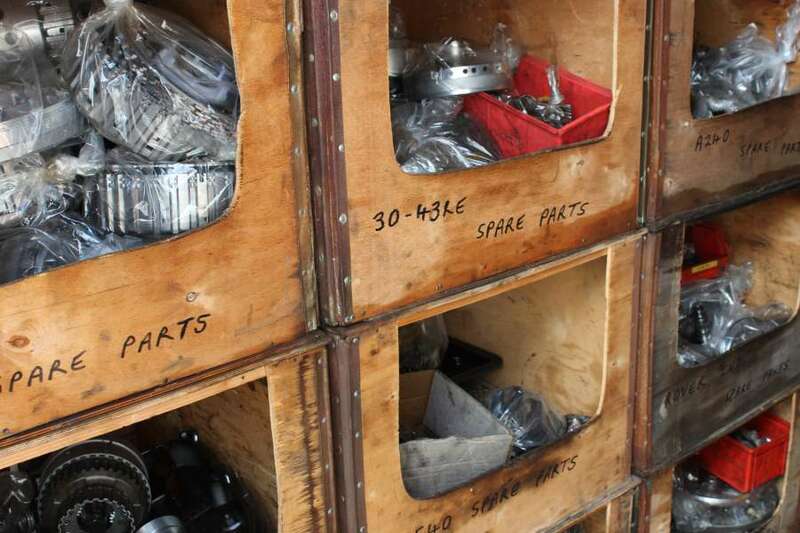 Our extensive range consisting of thousands of automatic gearbox parts fills 3 x 40 foot containers, 1 x 20 foot container and also our Midlands-based workshop. All are filled with high quality parts that are split and personally inspected carefully by the VMTP Midlands Ltd team. Parts that we regularly have in stock for automatic gearboxes include pumps, valve bodies, planetary gears, drums and much more. Furthermore we also have over 450 automatic gearboxes from a variety of suppliers, all ready to be broken down and stripped to supply ‘hard parts’ to support not only our own professional workshop but also to be made available for servicing the ‘automatic gearbox parts’ market. In addition to the current stock held, automatic gearboxes are purchased on a weekly basis to ensure a swift and reliable service. Andy is an automatic transmission specialist, with extensive experience of automatic gearboxes. VMTP Midlands Ltd guarantee to give you the best possible advice with regard all aspects of automatic gearbox parts. Whether you are a retail or trade customer we will point you in the right direction.